I offer consultancy on natural dyeing, wild food, and printmaking from £40/hour. This can be via skype, or in person. A holistic and practical approach to wild plants. Learn about all the edible wild plants that grow around us. Explore the possibilities of wild natural dye plants, and the medicinal properties of wild plants. Walks in Devon or a venue of your choice. Learn about the Indigo Dye Vat, Japanese Shibori stitch, fold and clamp resist dyeing, natural dyeing, bundle dyeing, natural mordants and modifiers, and wild and locally grown dye plants. At The Tallet Studios, near Cirencester, Gloucestershire, GL7 5ET or a venue of your choice. Wild Plant Walk - Wednesday 17th April, Battersea Park London. A walk around Battersea Park identifying all the wild an cultivated plants that can be used for making dyes. Bundle Dyeing Workshop with DesignMe, Brixton, Saturday 20th April. An Introduction to Bundle Dyeing. Bi-Monthly regular workshops At The Tallet Studios, Gloucestershire. Including Introduction to Natural Dyeing Workshops, Indigo and Shibori Workshops, and Printmaking Workshops. Teaching Natural Dyeing in the wardrobe department at Central School of Speech and Drama, London. Integrating plant dyeing in to period costume making. Workshops with Dartington. Working with fresh plant materials from the garden. We harvested fresh flowers and leaves from the gardens to create a variety of colours. The highlight for me was working with the fresh woad. 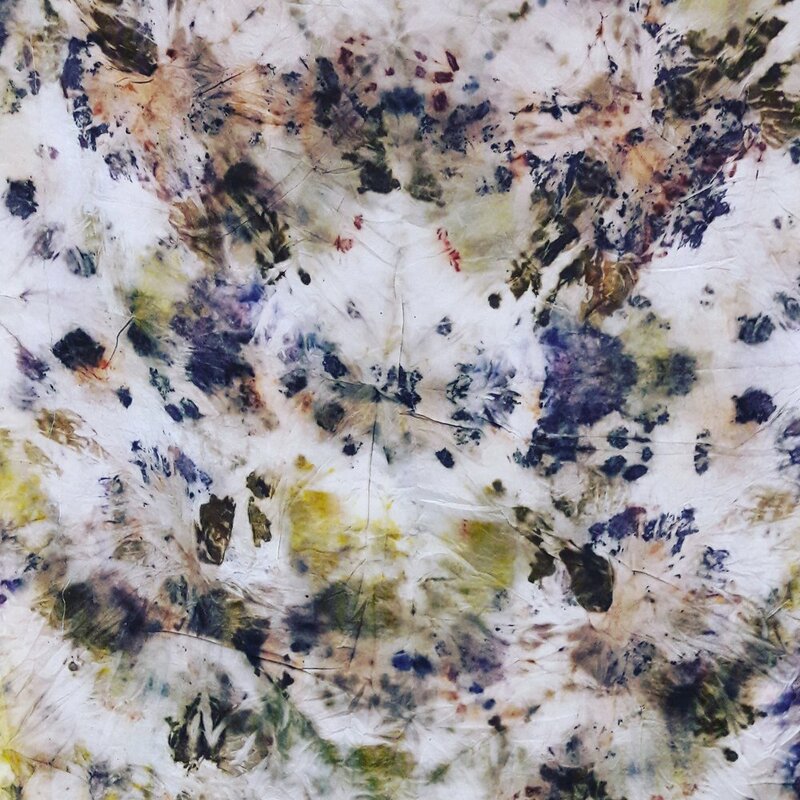 Natural Dyeing Events with Heaps & Stacks in London. Bringing plant based practices in to the middle of the city. Facilitating Natural Dyeing with children for Somerset Art Works and We The Curious in Bristol. Facilitating Natural Dyeing for Jo Malone, working with fragrance plants. 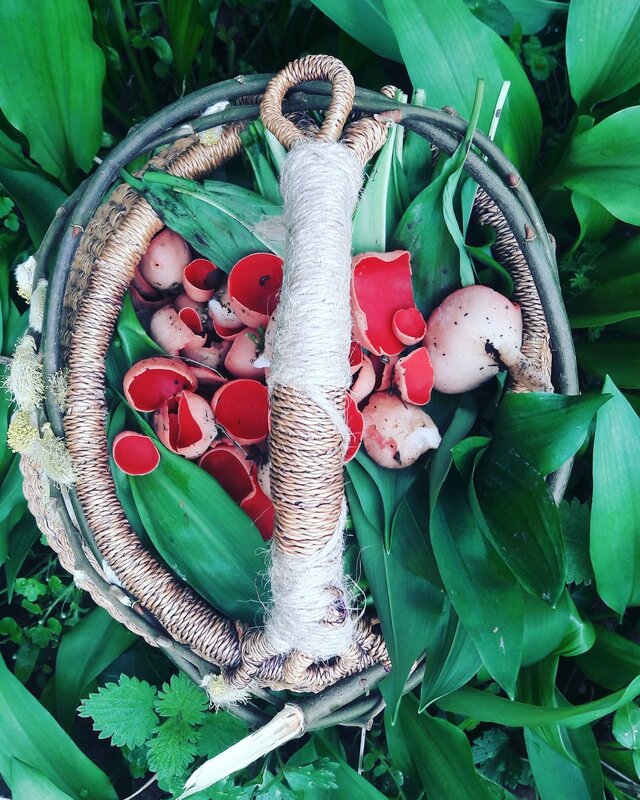 Wild Food Walks in Bristol and Devon. Indigo Dyeing with Stitched Up Coop, Manchester.